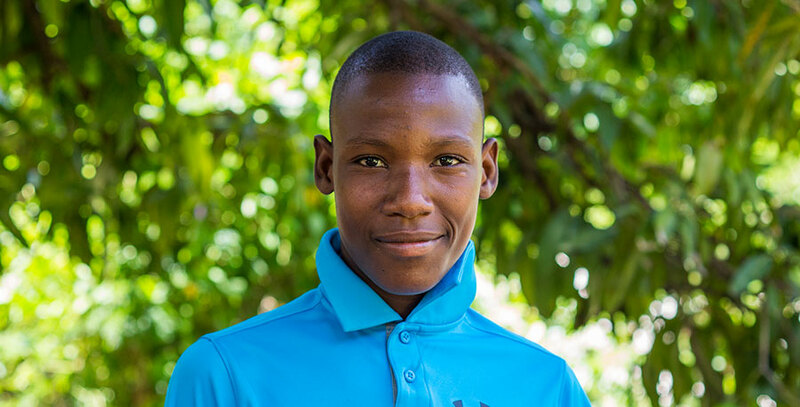 Davidson is from the village of Les Cayes where his father and siblings live. His mother passed away when he was 8 years old and he misses her very much. He came to live here in Fond Blanc so that he could go to school. He would like to become a farmer when he grows up to be able to grow food for everyone. He loves to play soccer with the other boys. Davidson is very quiet and shy but a very sweet kid. He doesn’t have one specific best friend at the orphanage, but he enjoys spending time with everyone.